It's always artichoke season with this fantastic spread. 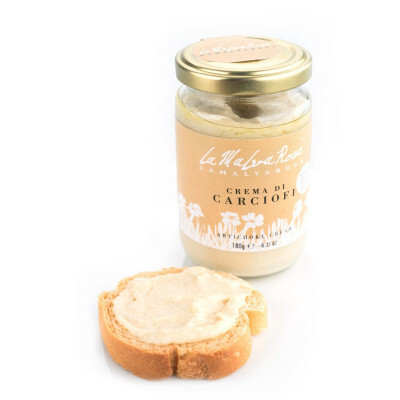 Artichokes can be tricky to prepare for their long peeling process, so Malva Rosa did all the hard work for you, and selected the best artichokes they could possibly find and made it into a creamy spread. Eat with an aperitif, served generously over bruschetta, or as the sauce for your pasta dish, for a truly Mediterranean taste. Artichokes 65%, olive oil, sea salt.